Click HERE for other sizes of Alaskan chainsaw mill, ideal for large planking jobs. 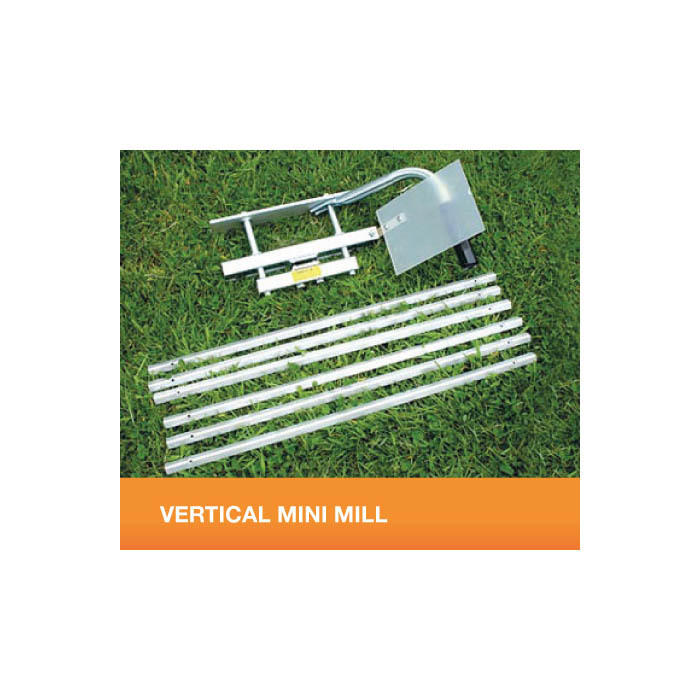 The Granberg Alaskan Vertical Mini Mill is small and compact and comes supplied with metal guide rails (12ft long in 2ft lengths). Fit the guide rails to a straight piece of 6″ by 2″ timber. It cuts logs vertically and is ideal for taking the sides off a log or making posts directly from the log. Max recommended bar length 25″.